* Delivery and Pickup hours available between 8AM to 8PM, 7 days a week. Rental rates is the TOTAL and FINAL Price, Which Includes * FREE Delivery, Pickup, Lost and Damage Insurance, Sales Tax of 6.5% is not included. * Free Delivery is available within 15 Miles of Disney World, including Kissimmee and Davenport. Free Delivery is not available to Orlando International Airport and Nearby Hotels. ** Delivery to Magic Kingdom or Epcot is only available for Walt Disney World Resort Guest Only. Scooter MUST be return at a Walt Disney World Resort. Please allow a 1 HOUR window from Requested Time Specify (i.e. 8AM - 9AM), Exact Delivery Time is NOT Available. Disney Cruises @ Port Canaveral Service is starting July 1, 2016. *** Please allow a 1 Hour Window from Delivery Time (i.e. 8AM - 9AM) for Delivery not to a listed hotel in above DropBox . Rentals are available to qualified customers only.Minimum drivers age is 18 years old. Rentals are subject to availability. 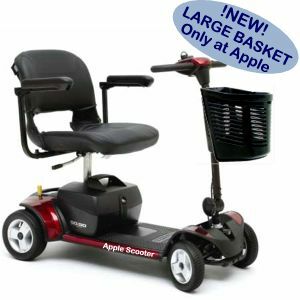 Copyright 2005-2017, Apple Scooter Corp. All rights reserved. * Rates is the TOTAL Price, Includes Delivery, Pickup, Lost and Damage Insurance. Sales Tax is Additional. The Best Transportable 3 Wheel Scooter for Park Hopping. 3 Wheel Design Allows for a Highly Maneuverable 34 Inch Turning Radius, with 175 Lbs Weight Capacity. Fully Disassemble to 4 Pieces in 10 Seconds, and Can Easily Fit Into the Trunk of a Compact Car. The Best Transportable 4 Wheel Scooter for Park Hopping. 4 Wheel Design Allows for High Stability, 40 Inch Turning Radius with 175 Lbs Weight Capacity. The Most Luxurious 3 Wheel Scooter Available. This Sleek Sporty Scooter Delivers Superior Comfort for a Long Day at the Park. 3 Wheel Design Allows for a High Maneuverability, 43 Inch Turning Radius with 350+ Lbs Capacity. Top Speed of 5.25 MPH and a Cruising Range of 16 Miles. LED Headlights, Low Back Seat, Easy Grip Delta Tiller with Wraparound Handles. 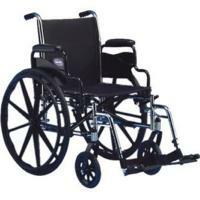 Light Weight Manual Wheelchair by Invacare in 16, 18 and 20 Inch Seat. The Invacare SX5 is designed to meet the needs of active users. Its extremely lightweight. Highly durable, and provides enhanced fit and function with 300 Lbs Capacity. Seat Width: 16 (80-135Lbs), 18 (140 to 195Lbs), 20 (190 to 275Lbs) Inches. 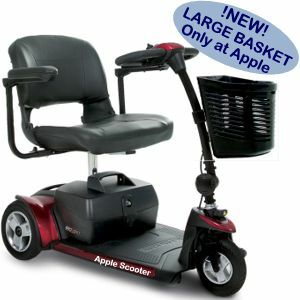 Weight 31 Lbs with standard Legrest, elevated leg rest available at no additional charge.